SIGN UP FOR SUPER LEAGUE SEASON 3 AND GET YOUR SUPER LEAGUE THEME!! Have you already signed up for SUPER LEAGUE Season 3??? If not, don't be late because the teams and players who've signed up in the initial period have a chance of receiving a SUPER LEAGUE Season 3 THEME! Make sure you organize your team and sign up no later than January 5th (Mon), 2015! *The SUPER LEAGUE Season 3 THEME is scheduled to be sent after the initial sign ups are fixed. Announcement will be made when the THEME will be sent out. ◆How to join SUPER LEAGUE? ■First contact your local operator and advise them that you want to play SUPER LEAGUE. ■Next, get your team of 4 or more players together and sign-up!! 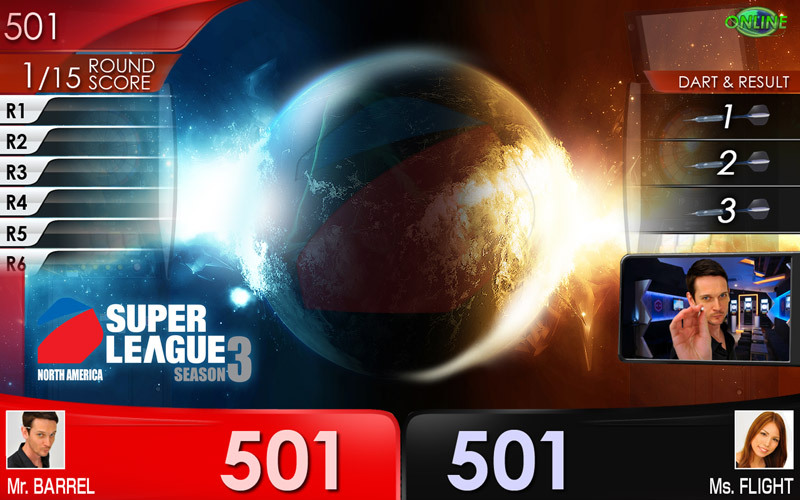 ⇒visit dartslive.com/us and Learn more about SUPER LEAGUE Season 3! If you haven't joined SUPER LEAGUE Fiesta yet, take a look at our Facebook gallery from Season 2 Fiesta!